The weekend 8th-9th September, there will be a Celebrate event in Glasgow. Celebrate is a Catholic Charismatic movement which hosts events for the family, aiming to inspire and strengthen faith. Today is Thursday 31st May 2018, six days after the devastating results of the Irish abortion referendum and it’s only now that I feel able to put pen to paper to try and describe how I and so many other feel about what happened in Ireland. On so many levels it was a devastation, to see a country I love and have such connections with vote in such a way was horrible, but to then see how such a vote was celebrated was truly heartbreaking. May 25th 2018 was the day Ireland lost its soul. The land of Saints and Scholars has now become the land of liars and louts, filled now with a passion for death and not life. A land whose history is steeped in sorrow and loss, will now know a sorrow like no other because this wound is self inflicted, this bloodletting could have been averted. This great nation could have risen up but now it will be bound down for generations, for abortion always has its consequences at both a personal and societal level. 50 years of legalised abortion in Scotland has taught us this. The saddest thing of all is the death of truth because every single person who voted yes has voted for a lie. The lie that abortion doesn’t kill a unique and individual human being, it does. The lie that it’s a woman’s body and therefore her right to choose, it is her body but it’s also her baby. Anyone who has ever seen a scan of a 12 week old baby in the womb, and that’s most of us, know it’s a perfectly formed human child which is destroyed in every abortion. This is not pro-life propaganda, this is the simple scientific and medical fact which anyone who has eyes to see can observe. Giving women a “choice” without showing them what that choice means is no real choice and the choice of abortion always means the death of your child. And the death of your child especially at your behest and with your consent always has consequences. If there are no consequences that’s even more troubling because what have we become when the death of our children raises not even sorrow but indeed is celebrated on the streets? There is so much more to be said but this is enough to begin with. 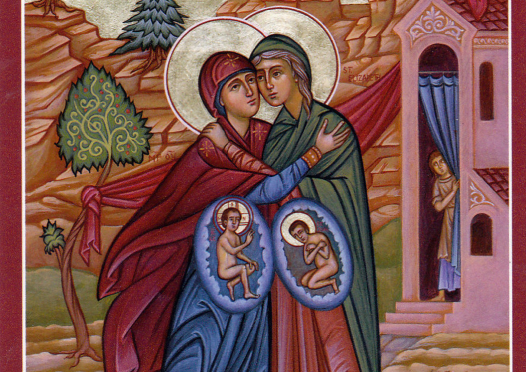 Today is also the Feast of the Visitation, the Bishop’s Day for Life here in Scotland (not that you would know it). 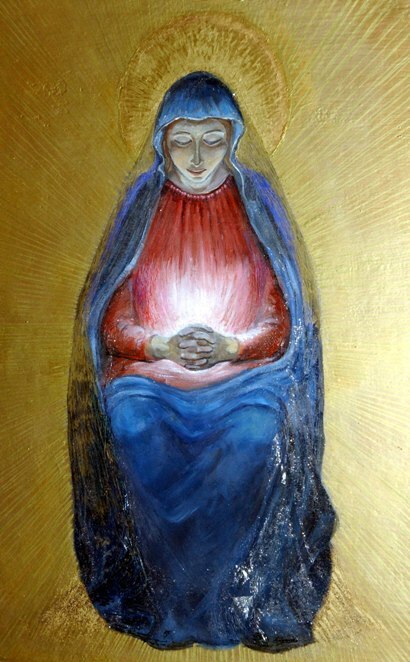 It’s the day when we celebrate the “Hail Mary” and “The Magnificat”, when St. John the Baptist as a child in the womb recognises the presence of Jesus in the womb of His mother Mary and leaps for joy. There are many great lessons in this magnificent feast for us but perhaps for today we could reflect upon the fate of those children in the womb at the Visitation. One was beheaded and one was crucified but both ultimately now live in glory with the Father in heaven. This too is our true destiny. But like Mary, Elizabeth, John and our Blessed Lord there is first much suffering, pain and sorrow, but always there is deep joy if we but remain faithful. Happy Feast of the Visitation. Youth 2000 is having a retreat at the beautiful Craig Lodge in Dalmally, from 1st-3rd June. 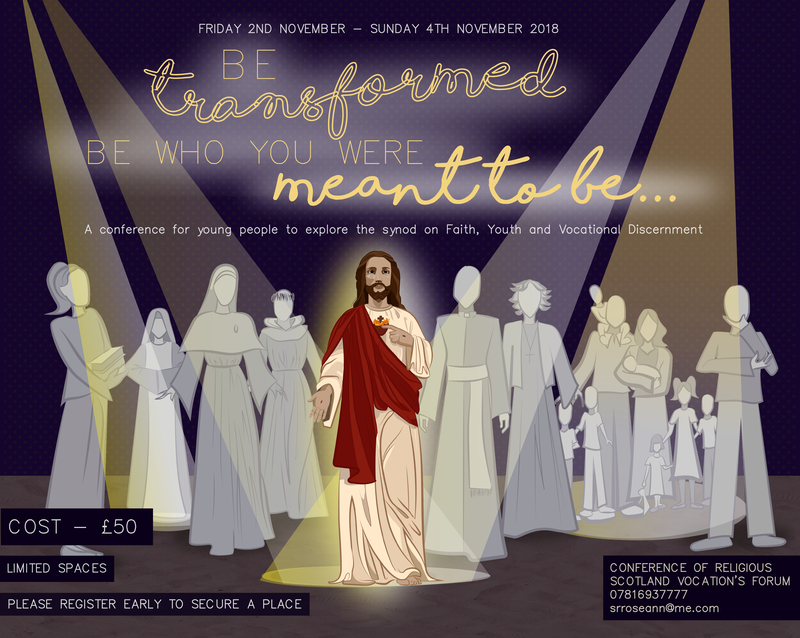 This is a retreat for any young people aged 16-35 years. 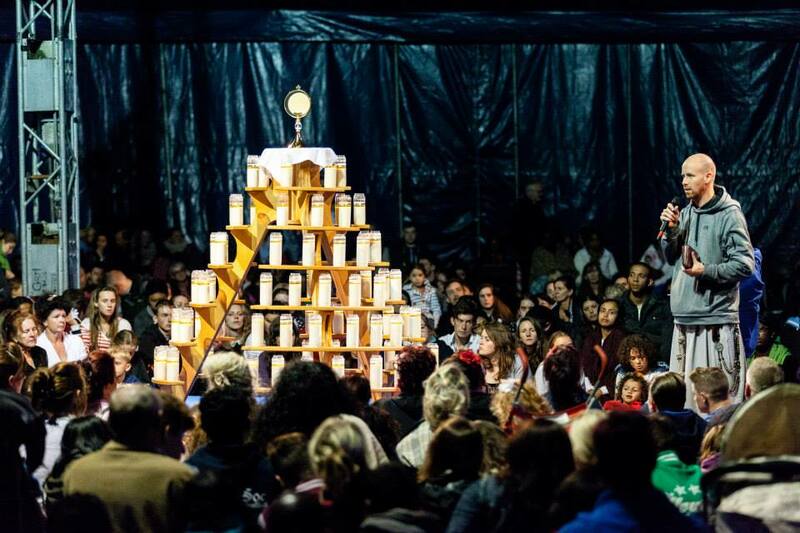 A chance to deepen your faith and meet lots of other young Catholics! As well as spend time in the beautiful Highlands. We’ll be going, to give a talk. Hope to see you there. See the Youth 2000 website for further details. The film features our own Sr Roseann and many other well known people, some of whom have attended Catholic schools, such as; Professor Sir Tom Devine, Sir Tom Farmer (Entrepreneur), Mark Millar MBE (Comic Book Writer), Maura Currie (Broadcaster), Kieran Tierney (Footballer), First Minister Nicola Sturgeon, Ruth Davidson MSP, Richard Leonard MSP. 2. The memories of those who attended Catholic schools. 3. The current crop of Catholic students & looking towards the future. The next meeting of the Fertility Forum will be on Tuesday 27th February at 7pm, at the Cardinal Winning Pro-Life Initiative, 104 Albert Road, Crosshill, Glasgow, G42 8DR. The forum is open for anyone to attend and you don’t need to have come to a previous meeting or be an expert. Please email gospeloflifesisters@googlemail.com if you plan to attend, there is some background information to be emailed out to participants. The Fertility Forum was created to facilitate discussion about how to promote the Church’s beautiful teaching on fertility and sexuality. 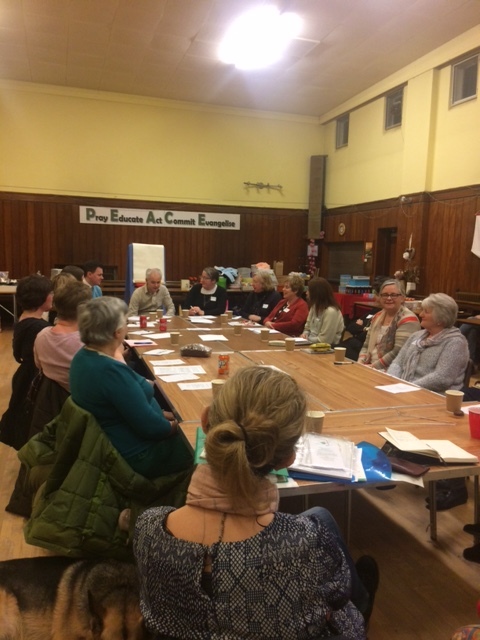 We had our initial brainstorming meeting in January, which was a great success and had 21 participants. The discussion was divided into several areas: methods of NFP, apps, NaPro Technology, marriage preparation and education (within the family, parishes and schools). Some thinking has gone on since then and several participants have contributed paragraphs about these areas of discussion. We look forward to continuing the discussion on Tuesday, as there is a need for more initiatives to develop to promote fertility awareness. Please join us if this is a topic you are interested in.